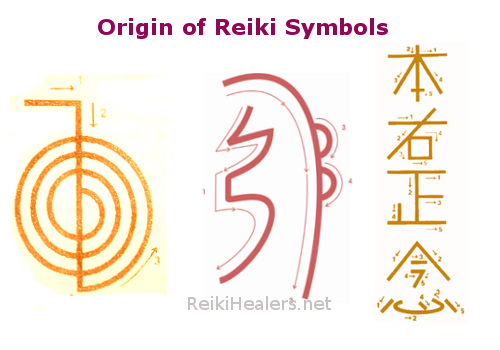 The Reiki symbols are based on Japanese system of writing, Kanji, but their origin is said to be from’The Sanskrit’ the most ancient language of Sacred Vedas. So these are the Japanese symbols derived from the Sanskrit. These symbols are given to the world by Dr Mikao Usui. He was attuned to all these symbols by the source, as a beam of bright white light at his third eye, on the last day of his 21 days meditation. It is said that their origin is much older than Dr Usui’s attunement as he had seen some of these symbols drawn in the monasteries. He had also seen them in Buddha Sutras. Reiki symbols act as keys that open the doors towards a higher level of awareness, consciousness, awakening and enlightenment. These are the healing symbols which intensify the flow of universal life energy force(reiki). They are transferred from the Reiki Masters to the students during the process of attunement. Every symbol has inbuilt intention and works on a specific frequency, during attunment the symbols get empowered in the body of the reiki channel and helps the user to get the intended results. 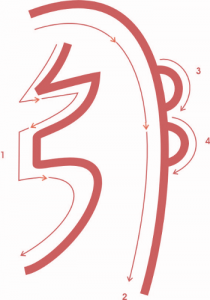 The sequence of drawing symbols varies from healing to healing. During the healing process, our intuition always guide us, the use of symbols, which symbol to use and in which sequence. There is no wrong or right drawing of the symbols. The way of drawing the symbols of every master is different and all the ways are right. The symbols are shown to the student before attunement by the master, the same symbols are impressed in student’s mind and during the attunement these impression merges with the metaphysical energies and are empowered. The symbols works by drawing them, visualise them or just thinking about them. 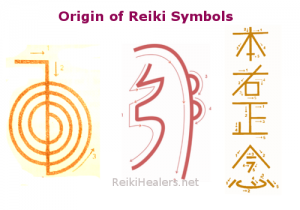 As soon as a reiki healer thinks of the symbol it will automatically connected to the metaphysical energies and starts working. Many of Reiki master consider them holy and scared, they are. In earlier years it was said that they are not to be shared with the person who is not attuned to the reiki but nowadays, in the age of internet, all symbols are available on net. So what to say? The reiki symbols get empowered during a reiki attunement only. One has to go through the process of meditating on the symbols. 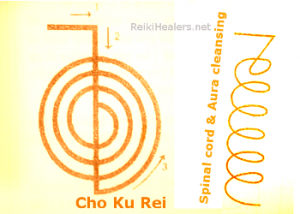 A non reiki channel can use the symbols but its healing energy will be different from that of a reiki channel. 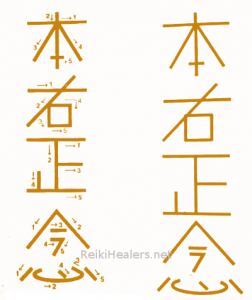 The three reiki symbols used in I and II Level attunment as given by Dr. Usui are. 2. SEI HE KI (II Level) :- Mental or emotional symbol. 1. They intensify healing power. 2. They help in to start the flow of energy. 3. They help in the smooth flow of energy. 4. They give protection to animate and inanimates both. 5. They help in physical, mental and emotional health. 6. They are used in distance healing. 7. Can be used in past and future healings. 9. They are used in cord cutting and sealing. 11. They help in establishing a connection with the source. 12. They help in clearing the space and filling it with positivity. Reiki master, reiki healer, a teacher, passionate about reiki, believes in present, a teacher, optimist, trying best to make reiki available to everyone.